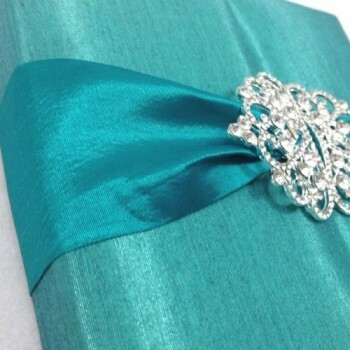 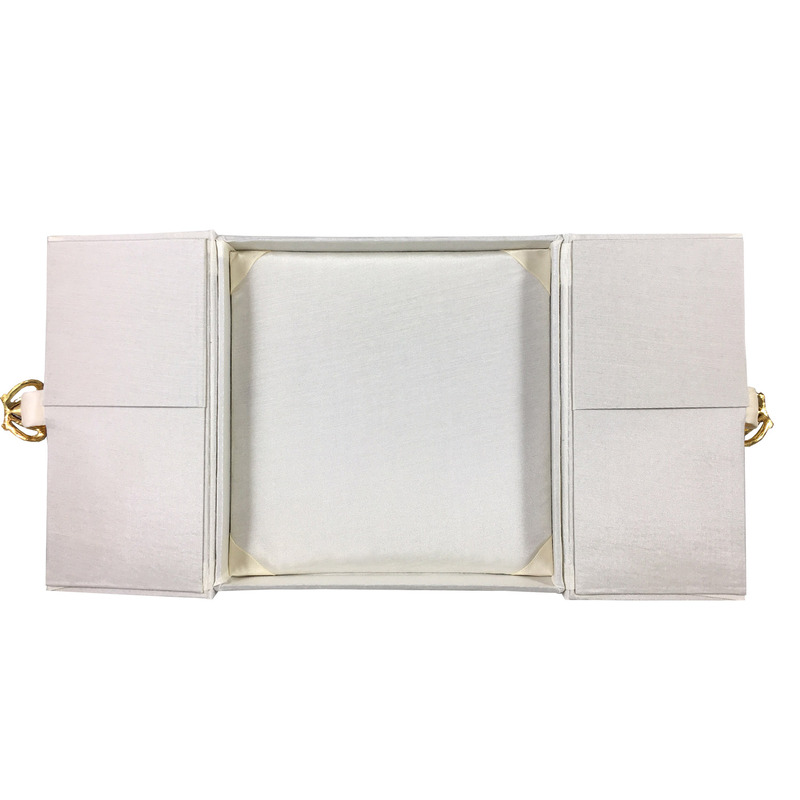 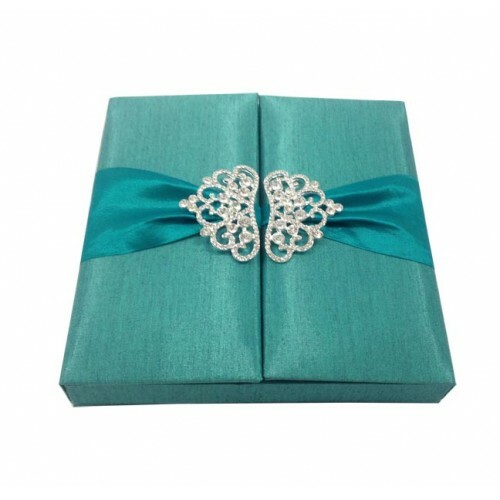 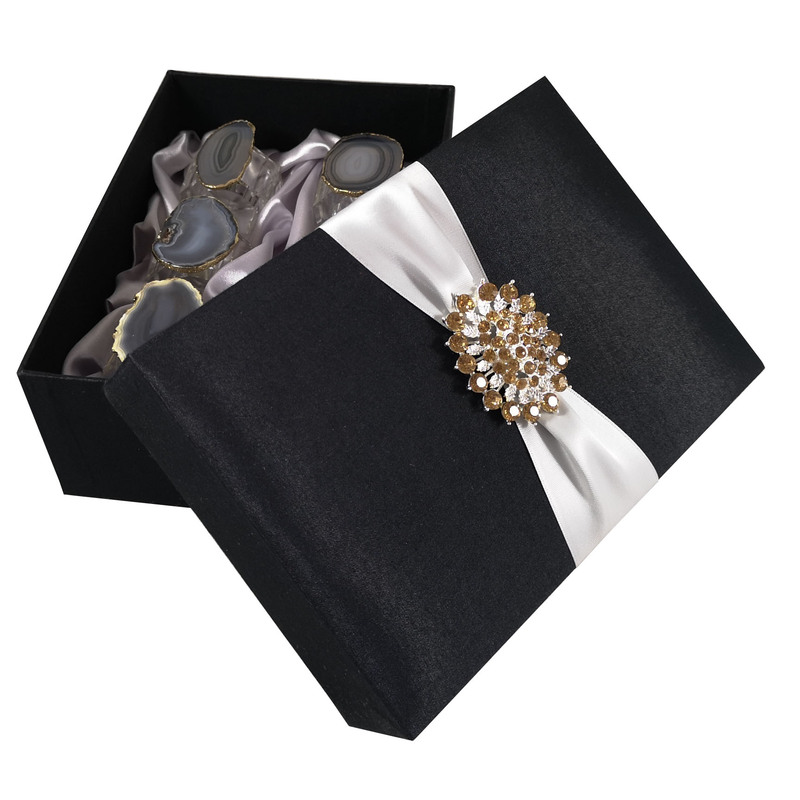 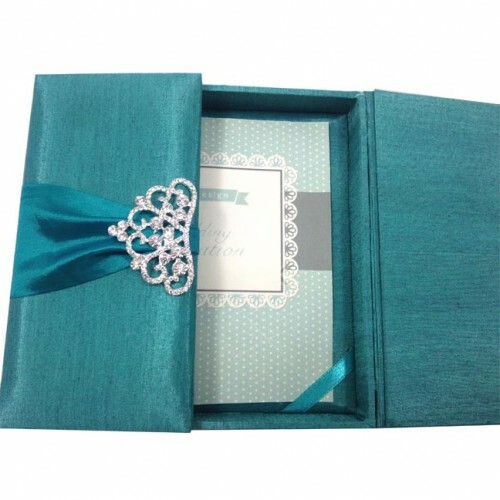 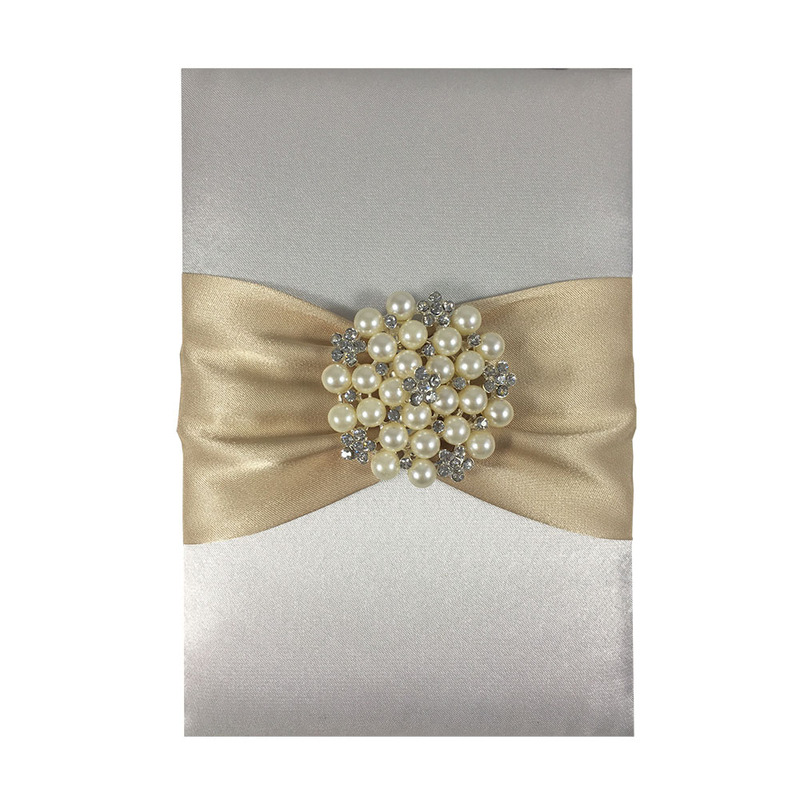 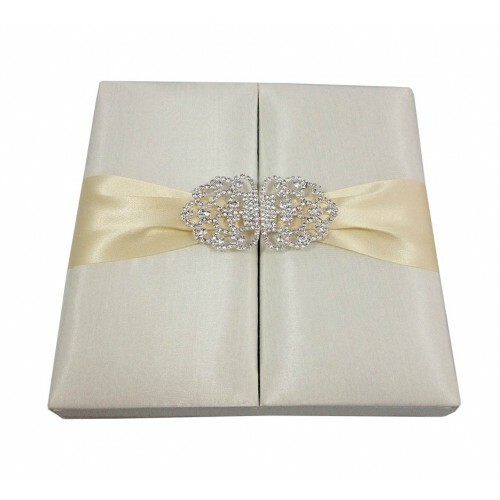 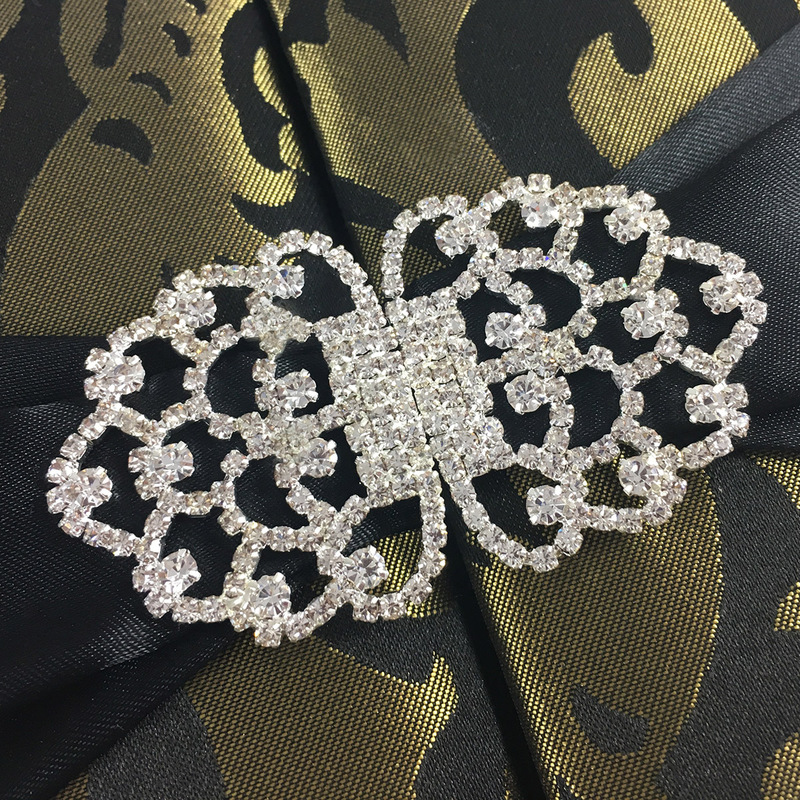 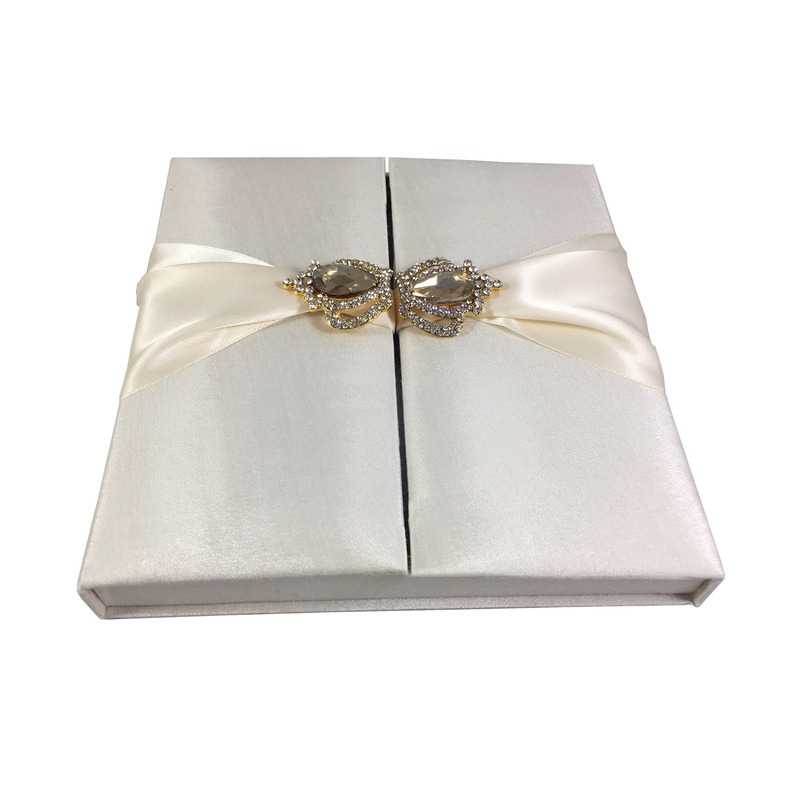 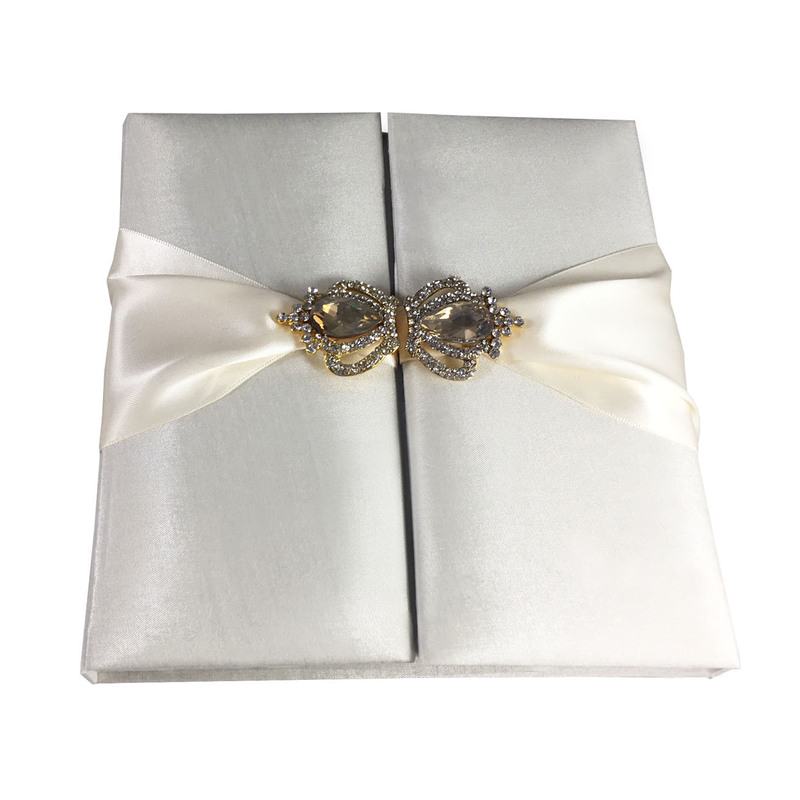 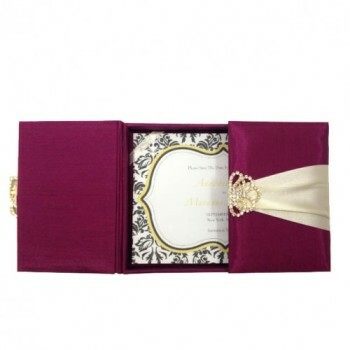 Elegant boxed wedding invitations featuring silk brocade from Thailand offered in various styles and options. 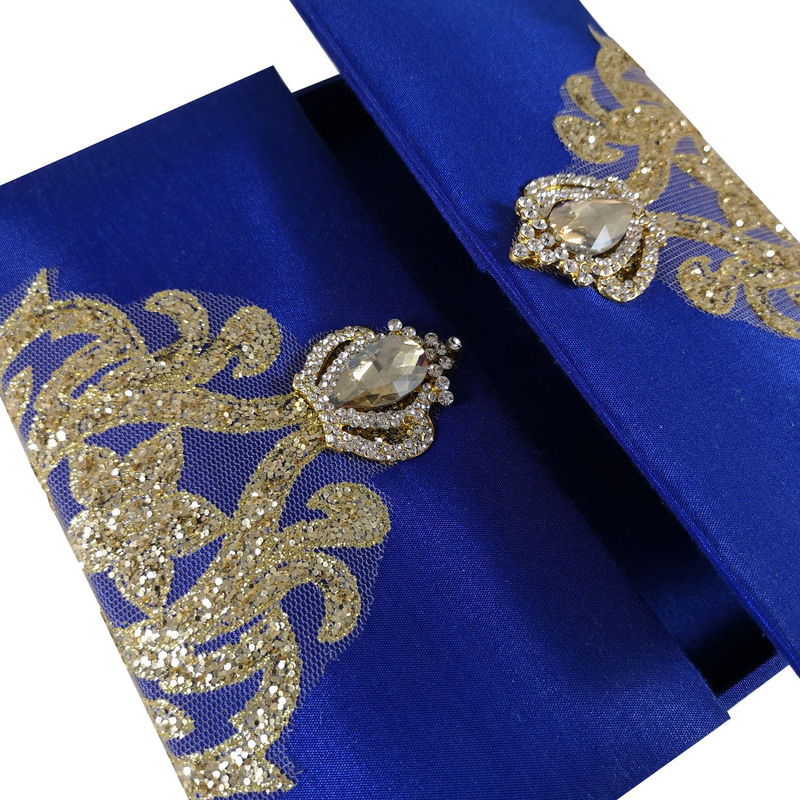 Stylish golden and black silk brocade wedding invitation design with large rhinestone crystal clasp. 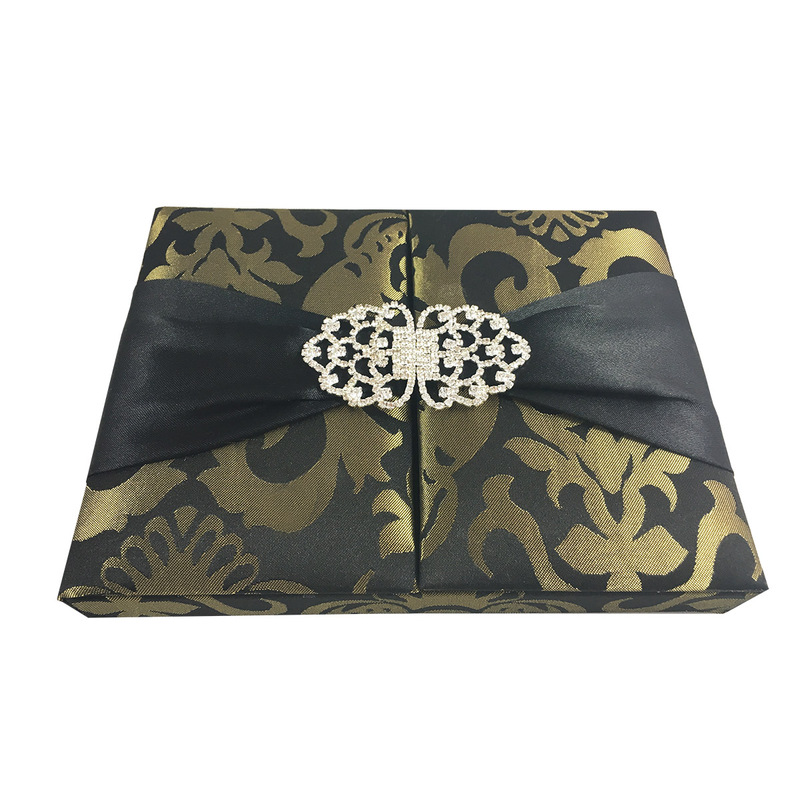 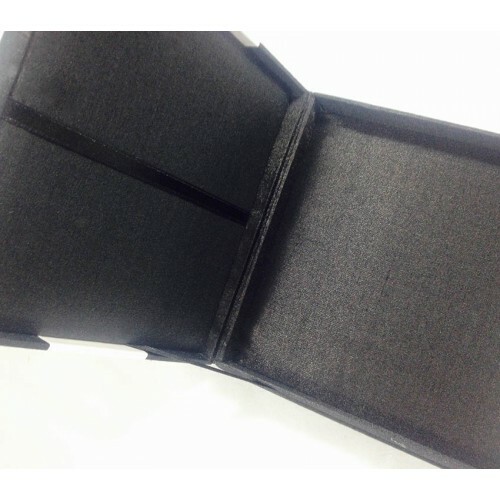 Lined with black silk, ribbon holder on the padded bottom inside. 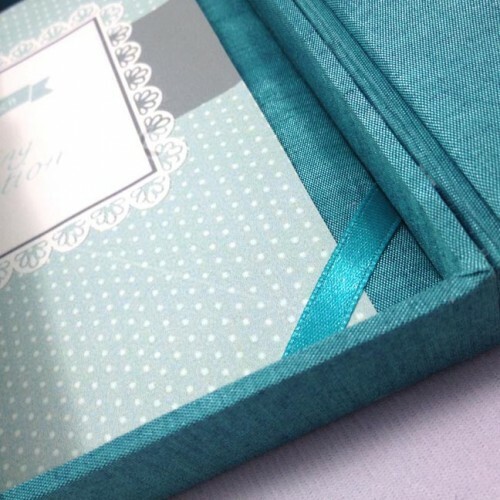 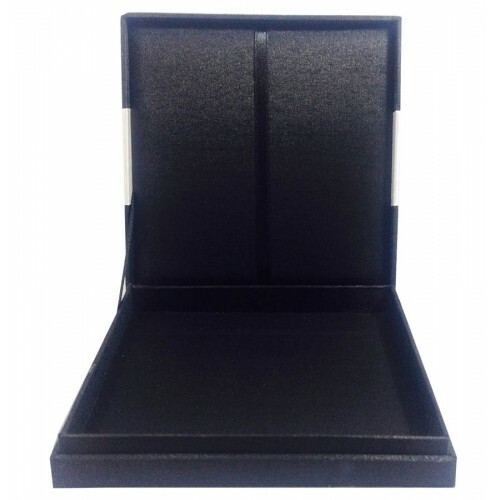 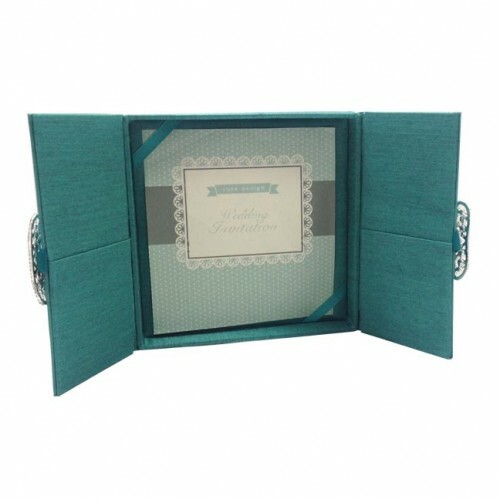 High quality boxed invitation design that is hand-made in our factory in Chiang Mai. 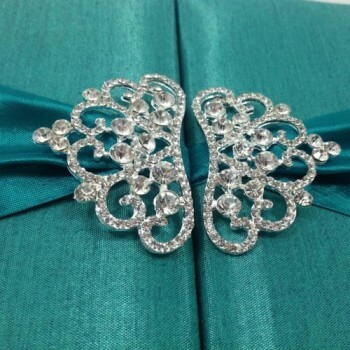 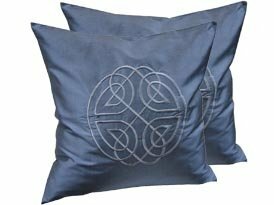 This is one of over 500 designs featured in this category. Absolutely magnificent! 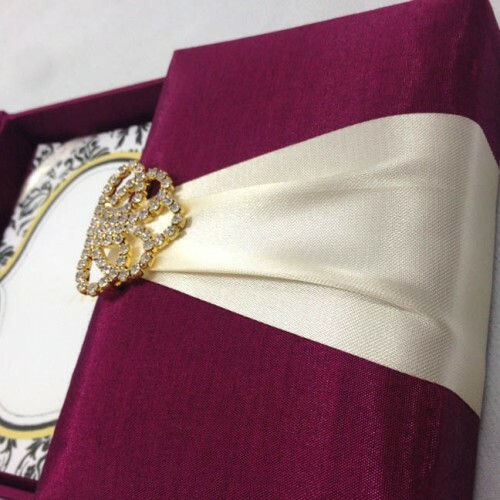 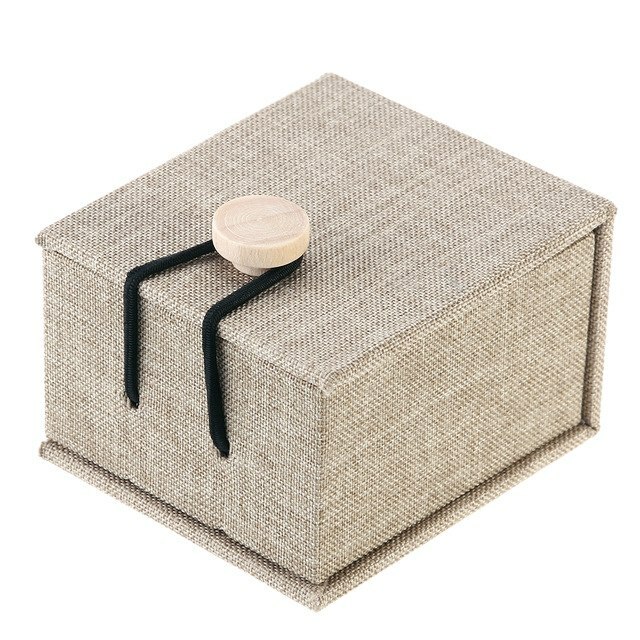 I ordered my invitation boxes through Dennis Wisser and could not be more thrilled with how they turned out. 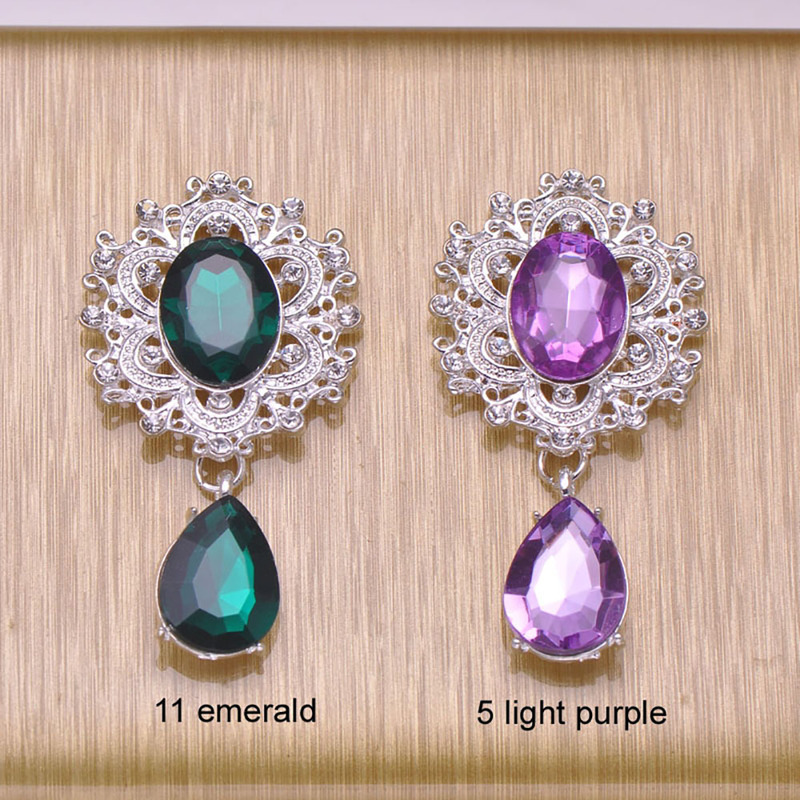 They even customized these for me to my wedding colors, along with a beautiful silk mailer box. 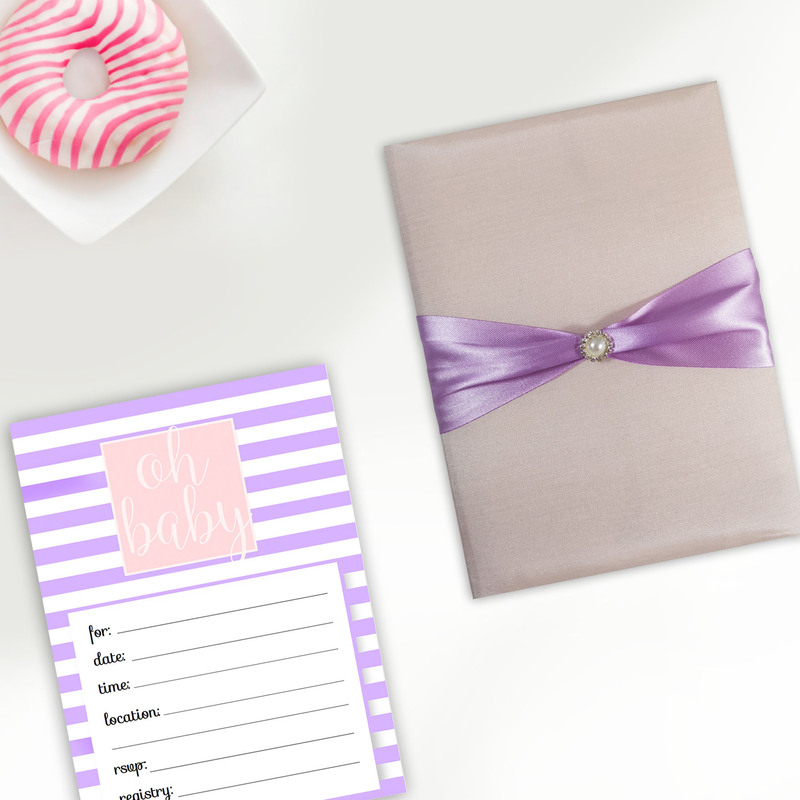 The team was so communicative with me through the whole process, and sent me photos of the progress every step of the way so I knew exactly how they would look when I received them. Start to finish – it took only 1 month, to the day, for 200 boxes and mailers to arrive on my doorstep. 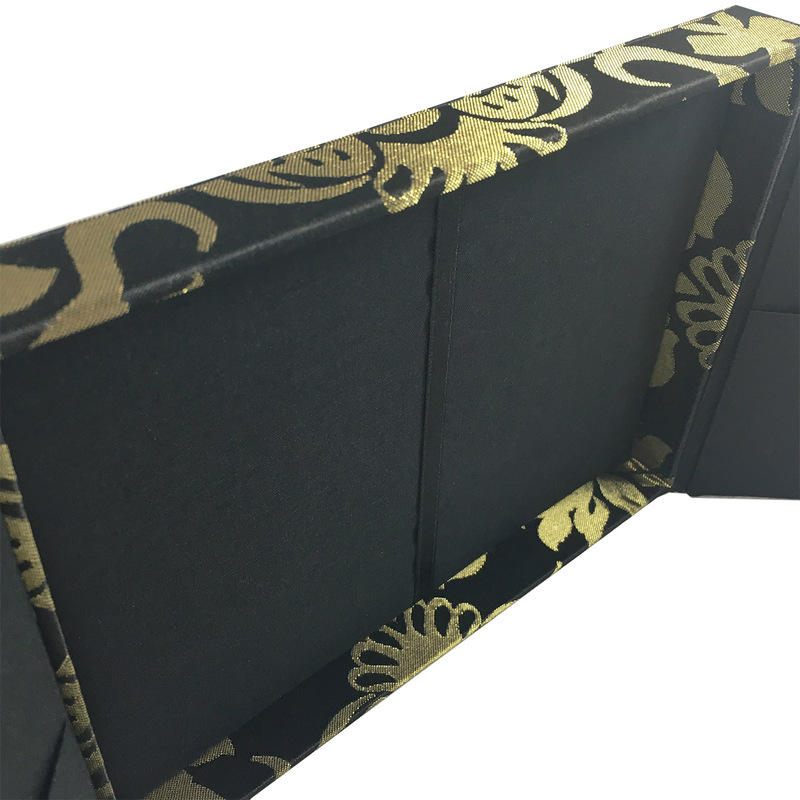 When the boxes arrived, I was blown away with the amazing quality and incredible craftsmanship. 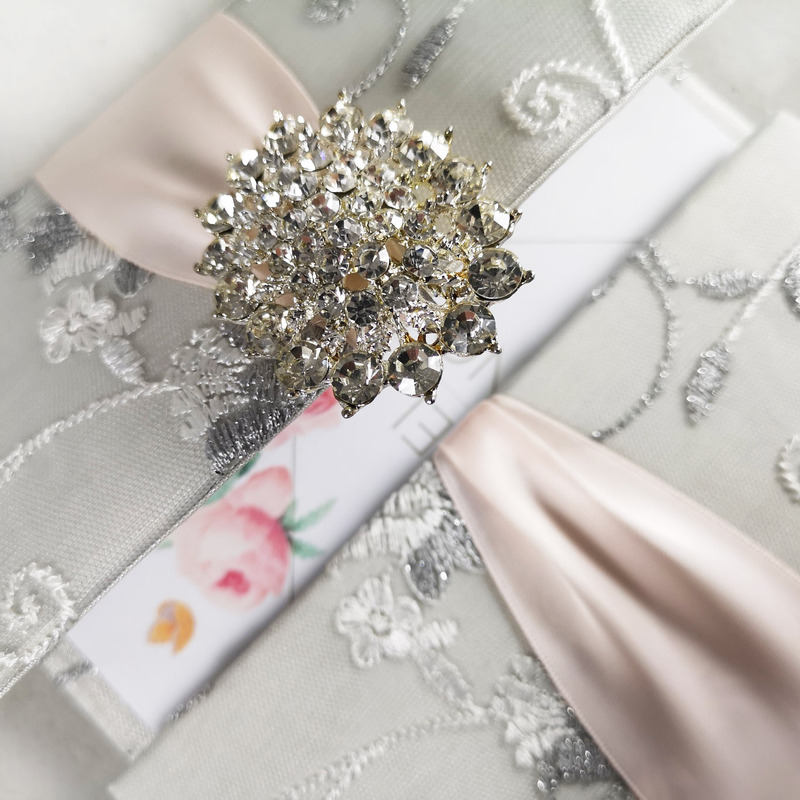 I absolutely cannot wait to send out my wedding invitations – and 100% would recommend others to Dennis Wisser! 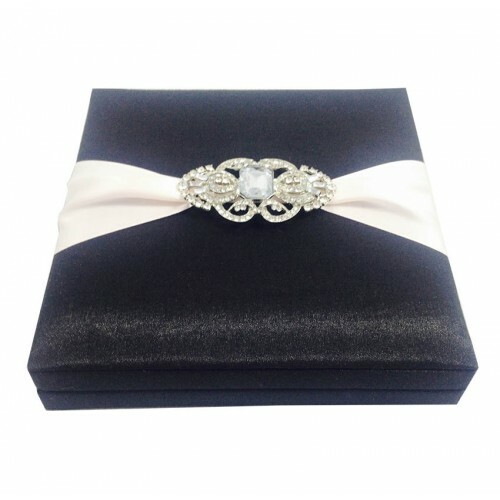 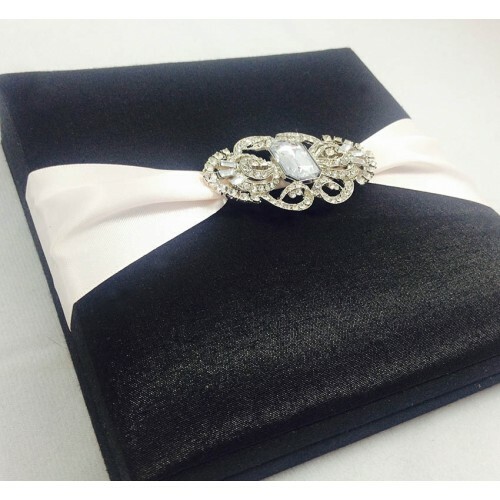 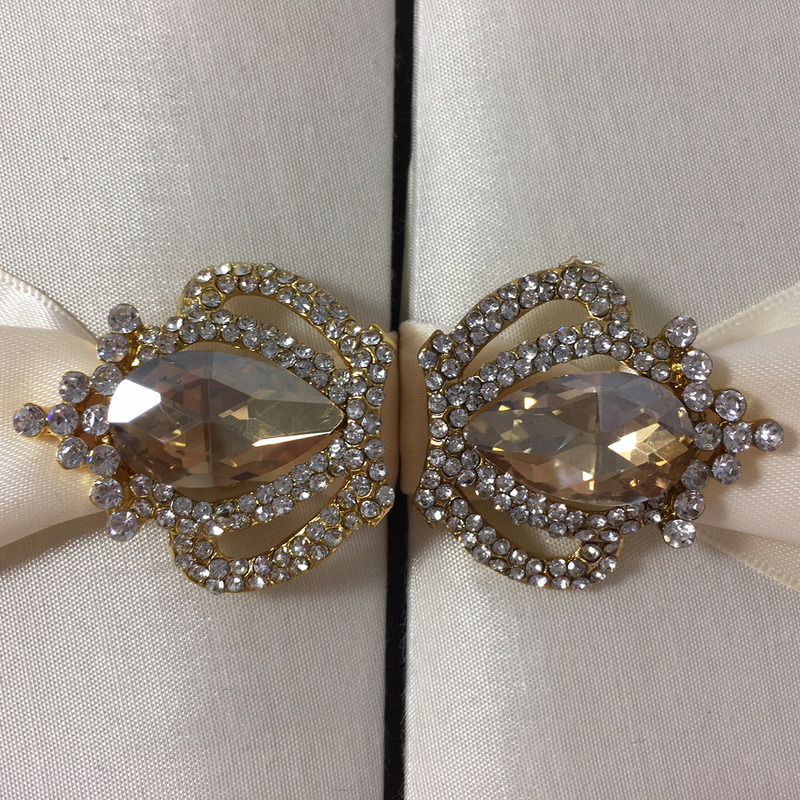 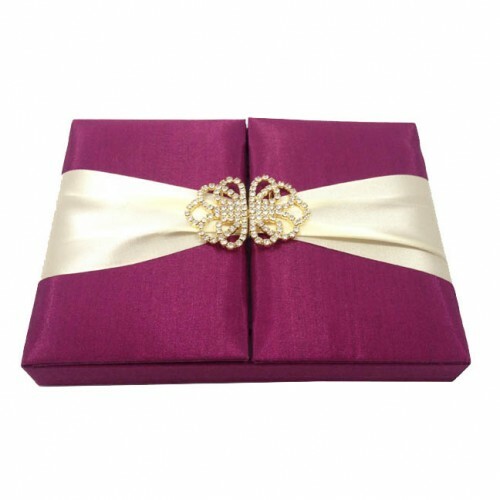 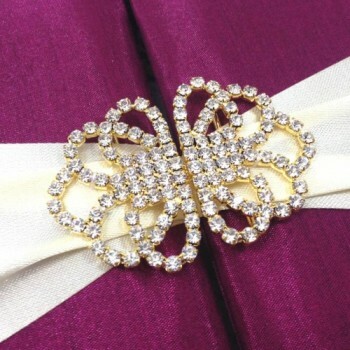 Wedding invitation box in dark magenta, ivory ribbon, gold plated crystal clasp embellishment.